The National Live Scan Association (NLSA) has approved the corporate office of California Live Scan Centers as a Certified Mobile Live Scan, Los Angeles County, service provider. 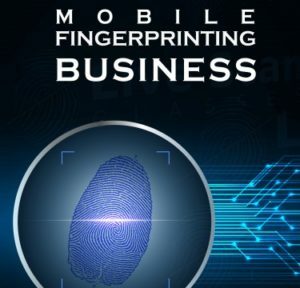 Mobile Live Scan services will consist of electronic fingerprinting (Live Scan) and Ink Card Fingerprinting (i.e. FD-258 Ink Fingerprint Card). Using the Mobile Live Scan, Los Angeles County, provides clients the flexibility of having their team fingerprinted at place of business. Taking advantage of the Mobile Live Scan Fingerprinting services also allows management to maintain productivity. Management does not have to deal with down time while their team goes wandering off to various questionable “fingerprinting experts”. Utilizing a NLSA Certified Mobile Live Scan Technician is a good business choice. Providing immediate on-site fingerprinting (Notary Public) services is not an issue. The Mobile Live Scan, Los Angeles County, routinely assist large and small organizations requiring Live Scan Fingerprinting services with short notice. Clients using the Mobile Live Scan, Los Angeles County, have been extremely pleased. Clients especially liked the fact that there is not a requirement for “large groups” to come out. California Live Scan Fingerprinting Centers will provides on-site electronic fingerprinting for as little as ONE (1) or more applicants. Our NLSA Certified Mobile Live Scan (Mobile Live) service can be scheduled days or even weeks in advance. And if dealing with that very last-minute need, the Los Angeles Mobile Live Scan service can be provided sometimes that same day. Basically the Mobile Live Scan, Los Angeles County, service is available seven days a week. Typically all we need upon arrival is a table, a few chairs and access to an electrical outlet. Mobile/Travel Fee starts at $90. This is non-refundable and required upon initial appointment; this is separate from the rolling and processing fees. Our rolling fee are $30 per Live Scan applicant plus the special registration fees set and imposed by DOJ, FBI, and/or other special agencies. There are additional fees for after hours mobile Live Scan, holidays, and significant travel. We provide single point of contact for all of your Live Scan needs. Talk to a live person today, contact us, (888) 498-4234. Prices, terms & conditions are subject to change without notice.